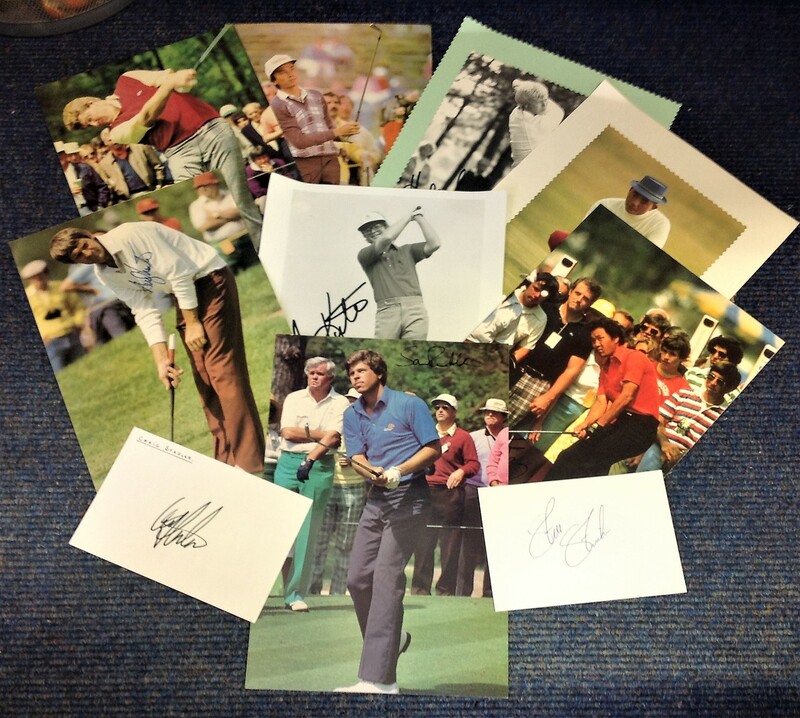 Golf collection 10 signed photos and signature pieces from some legendary names from the game includes Isao Aoki, Steve Stricker, Howard Clarke, Tom Kite, Andy Bean and Craig Stadler. Good Condition. All signed pieces come with a Certificate of Authenticity. We combine postage on multiple winning lots and can ship worldwide. UK postage from £3.99, EU from £5.99, Rest of World from £7.99.